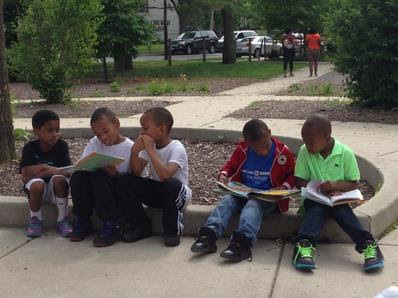 Participate in the Summer Reading Program from 11:30am to 1:30pm at: Fleetwood-Jourdain, Wednesdays, 7/8 and 7/29; Mason Park, Thursdays, 7/9 and 7/30. Check out books and/or register for a library card at the Book Bike in conjunction with the Summer Food Services Program at: Robert Crown, Wednesday, 7/8 and 7/22; James Park, Thursday, 7/9 and 7/23, Fleetwood-Jourdain, Monday, 7/20; and Mason Park, Tuesday, 7/21. Librarians will bring children’s activities and crafts to the parks from 11:30am to 1:30pm at: Robert Crown, Monday, 7/20; James Park, Tuesday, 7/21; Fleetwood-Jourdain, Wednesday, 7/22; and Mason Park, Thursday, 7/23.